PROJET EN COUR . . .
La musique hip hop en général . ON A PU CONSTATER QUE BEAUCOUP DE PERSONNES DÉSIRERAIENT NOUS SOUTENIR GRACE A VOS MESSAGES, COMMENTAIRES, ETC ... POUR SOUTENIR PCC VOUS POUVEZ ; AJOUTEZ PCC DANS VOS PRÉFÉRÉS ... AJOUTEZ NOS SONS DANS VOS MORCEAU PRÉFÉRÉ OU CRÉER UN ARTICLE SUR LE GROUPE SI VOUS VOULEZ , A VOUS DE VOIR LA FAMILLE ET ENCOR MERCI POUR VOTRE SOUTIEN ! ! ! 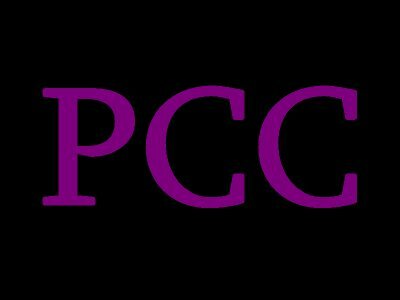 PCC ARRIVE BIENTO AVEC PROJET QUI EST ACTUELLE EN PRÉPARATION . . . POUR LE MOMENT ON VOUS BALANCE QUELQUE EXTRAIT EN VRAC HISTOIRE DE DONNÉES DES NOUVELLES . . .
RESTER BRANCHÉS LA FAMILLE !! MERCI POUR LES COMMENTAIRE CONCERNENT " On nous fermes les portes " MAIS DESORMAIS IL Y A UNE NOUVEL VERSION A ÉCOUTER D' URGENCE , DISPONIBLE SUR CE BLOG !!! ET AUSSI UN DEUXIEME TITRE EXTRAIT DE LA MIXE TAPE DE PCC, INTITULLER " Crack Music Money " DISPONILE DÉS CE JOUR !!! NOUVELLE VERSION DE " On nous fermes les portes "
QUAND PENCEZ - VOUS ?
" Crack Music Money " DEUXIEME EXTRAIT "LOUURD POUR CET ÉTÉ !! !